Alizadeh, M. (2012). Effect of Using Oxygen-Enriched Gas during Induration Process of Iron Ore Pellets Containing Solid Fuel. International Journal of Iron & Steel Society of Iran, 9(2), 27-31. M. Alizadeh. "Effect of Using Oxygen-Enriched Gas during Induration Process of Iron Ore Pellets Containing Solid Fuel". 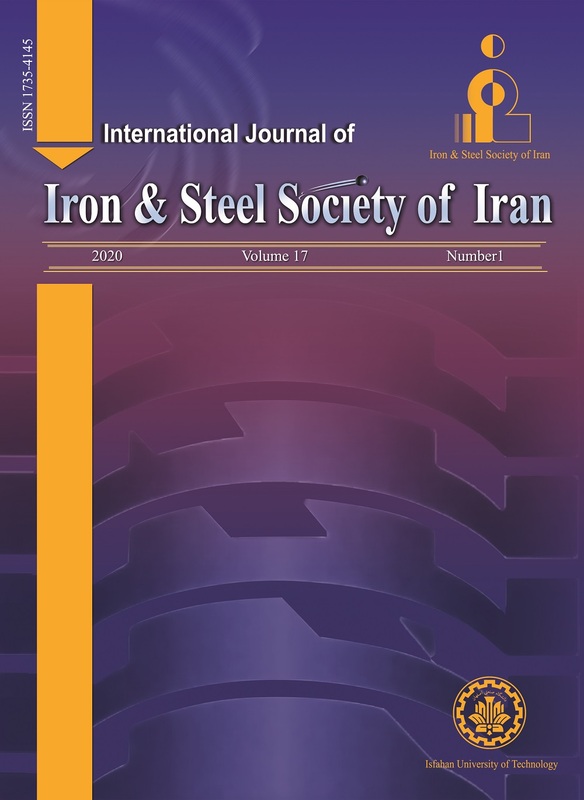 International Journal of Iron & Steel Society of Iran, 9, 2, 2012, 27-31. Alizadeh, M. (2012). 'Effect of Using Oxygen-Enriched Gas during Induration Process of Iron Ore Pellets Containing Solid Fuel', International Journal of Iron & Steel Society of Iran, 9(2), pp. 27-31. Alizadeh, M. Effect of Using Oxygen-Enriched Gas during Induration Process of Iron Ore Pellets Containing Solid Fuel. International Journal of Iron & Steel Society of Iran, 2012; 9(2): 27-31. In this research, the effects of oxygen injection during the induration process were studied in order to improve the quality specifications and increase the rate of production of the iron oxide pellets. Several experiments were carried out in palletizing pilot plant in different conditions of oxygen injection. The results suggested that if only the extra oxygen was injected into the furnace in a specific range of time and temperature, shortening of the time of heating process and increasing the rate of production in the induration machine could be achievable. Furthermore, the optimal condition for oxygen injection into the combustion gas was determined for the pellets containing the coke powder. The microstructures of a cross section of the pellets were investigated via scanning electron microscopy. The results showed that oxygen injection into the furnace provided the condition for the production of a uniform homogenous structure without cracks and microstructure defects in iron ore pellet. Inc. and U.S. Bureau of Mines, USA, (1990). L.X. Yang and C.E. Loo: ISIJ Int., 37(1997), 449. B.M.T. Bjorkman: Powder Tech., 183(2008), 247.